Amy and Randy are a 40ish, middle class American couple living in Florida with five children, one daughter-in-law, and three grandchildren. Randy works as a Network Security Admin and Web Developer, so Amy can stay at home. Amy comes from a strong Northern Wisconsin-Polish background and was raised to show love with food-more butter, more sugar, sausage, Pierogies, etc. It didn't take long for Amy to start showering Randy with three full meals a day plus desserts and treats. Over the course of four years, Amy fattened him up to well over 300 pounds! Then Randy started having chest pains, so he went to the doctor. He was a young man in his thirties with somewhat high LDL (bad) cholesterol and EXTREMELY low (good) HDL cholesterol, which put him at high risk for a heart attack. It was scary, especially with four children in the house. Amy was literally loving her husband to death, so they had to make a change. She had to cook healthier foods. But Randy was spoiled with treats, and there was no way he was going to eat salad and drink diet soda. With that in mind, they took it slowly-really, really slowly. It took about two years. Randy lost over 120 pounds, and his cholesterol is healthy. He runs 5 to 10K four times a week and hits the weights pretty hard. There are no tricks to it, no special diets to follow or some voodoo gimmick that will make the pounds disappear. 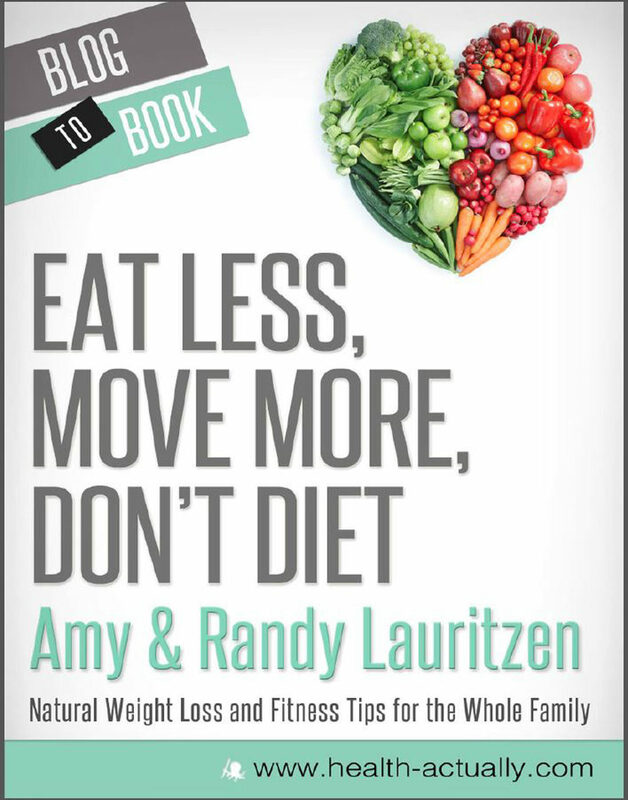 As Amy and Randy learned more about healthy living, the sneaky people started to stand out. There were so many of them preying on others with promises to make you thin and beautiful if you just pay their price. Thus, the creation of Health-Actually.com. Amy and Randy share products they tried, exercise that worked, and recipes that fit it into their family. Their goal: to make your life better by offering you the long version of how they did it.